This is the second time I've applied Perma Shield to my 5 year old truck ( it has over 100k miles) and I tell you, what a great shine ! My truck gets pretty dull looking out here in California with high temps in the summer and acid rain in the winter, but Perma Shield has restored the beauty and luster to my faithful work truck once again. It takes a beating but still looks great. My neighbor used it today on his red Chrysler and man he loved it too. Here are a few pics, you can decide if they are website worthy or not. Have a great day & may the LORD bless! Thank you for visiting ! 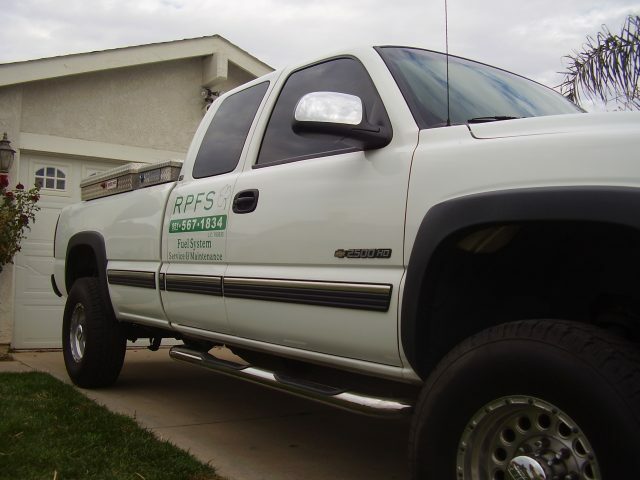 Our Company Mission is your total satisfaction with The Perma Shield System on all your vehicles !